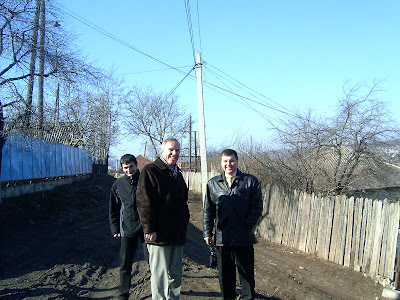 When I was at Missionary Training School I was very impressed by the fact that our trainer’s pastor came to visit him, and to support his work by teaching at our course, and giving us some words of encouragement. I thought how wonderful it was that he had a supportive church and a pastor that thought enough of his missionary to take time to come encourage him in this way, so far from home. I never really thought that any pastor would come and visit me. How low my expectations were! This past weekend I had the privilege of being visited and encouraged by my lifelong pastor and friend, Win Clark. Win and his wife Nancy were visiting their daughter Amy in Frankfurt and decided that being so close, one of them should come and visit me. So for about 36 hours I was so blessed. Win arrived on Saturday evening, with a suitcase full of gifts and supplies and clothes for distribution to those in need, as well as a suitcase full of books and music to bless my soul! We were able to talk and talk that evening. 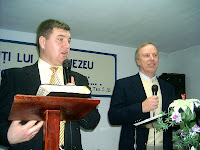 On Sunday Win and I we nt to the town of Cojusna with my team-mate Lilian, where Win preached in the church there. Afterwards, Win had the privilege of learning about Moldovan mud (glod) when we went to the home of one of the sisters in the church for a genuine Moldovan meal. 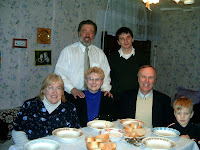 We enjoyed the fellowship of the pastor and his wife, my teammates Mike & Myra, and Lilian. 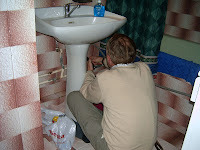 The night before I had had a flood in my bathroom and so later in the afternoon, Win went above and beyond the call of pastoral care as he repaired a faucet under my sink. In the evening we had a lovely meal and more sharing time together in a real Moldovan restaurant, where once again Win continued to listen to me, encourage me, and affirm me in my calling to be here in Moldova. What a blessing this dear pastor and friend has been to me! And of course, because our families are similar ages, and we care about each other’s children, we prayed together for them – as well as for other concerns. Win and Nancy have also become grandparents within the last couple years so it was pretty neat to be able to share together from this new vantage point in life. Truly the bar has been raised in the standard of pastoral care. Visiting a missionary on the mission field, encouraging me personally, encouraging the national church through the ministry of preaching, making house calls and house repairs and bringing material aid to the country – yes, this is a pastor par excellence! I would love to hear from some of my readers about the ways that your pastor has been a blessing to you. Maybe in so doing we can encourage these dear pastors to carry on with patience and perseverance in the ministry God has given them. 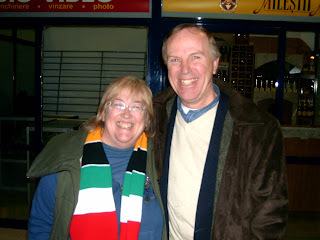 Posted by Barb at 2:35 a.m.
Barb, what a nice treat, to be visited by Win - our favourite former pastor. Please remember West End church in your prayers, as it is going through a rough patch. If we are ever in your area, we'd come and visit, too (like if we win the lottery... but we don't buy the tickets) I guess you may as well send us some airline tickets. Life sure goes on, doesn't it..